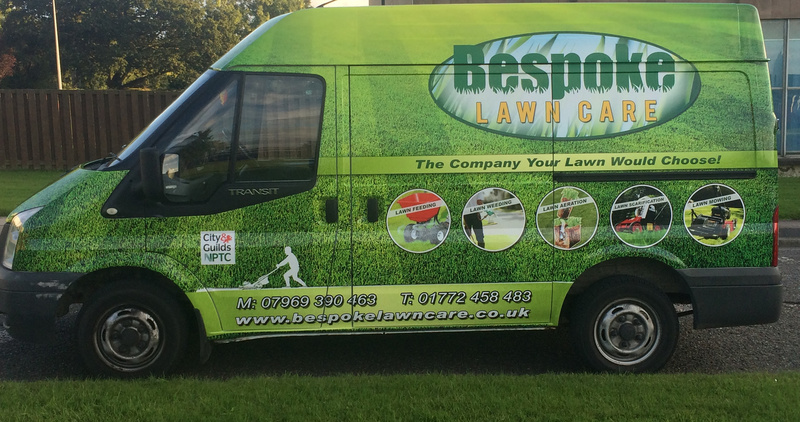 Bespoke Lawn Care - The company your lawn would choose. to both domestic and commercial clients. often the first focal point viewed by visitors. on a weekly fortnightly basis. Based in Leyland, Lancashire, we offer a complete lawn care service to both the domestic and commercial client, our services include, Lawn feed and weed program, Lawn aeration both hollow tine and solid tine, lawn scarification to remove moss and thatch, lawn mowing and weed / moss control of hard standing/patio areas . 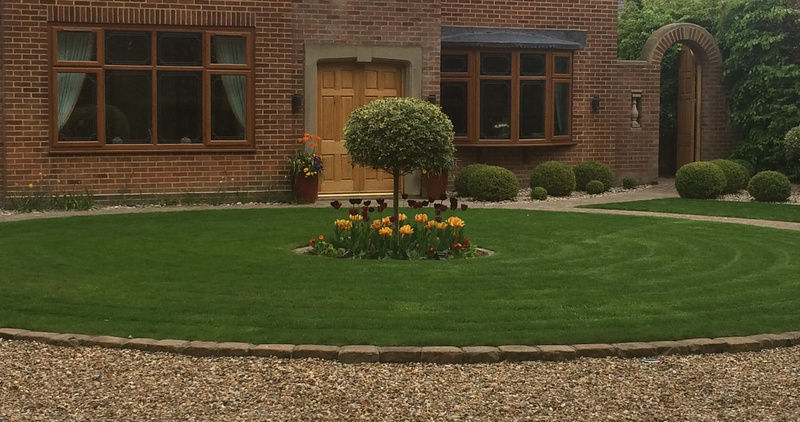 Why Choose Bespoke Lawn ? We understand that your lawns are an important part of your home reflecting the type of person you are, often the first focal point viewed by visitors. Bespoke lawncare are not a franchise. Bespoke lawncare do not use combined weed and feeds like you buy from DIY stores, because each lawn is different when we visit your property we do a lawn analysis and this will determine what feeds and separate weed control products we will apply. Because circumstances can change we do not put people under contact or sell services such as water retention products to then find we have a wet year(2012) and the product was not necessary. We only advice on a product/service if we feel it would be in your lawns best interest. For bespoke lawncare to purchase professional lawn feeds and weed control products for application to your lawn we have to have a licence . If you would like your lawns looking nice, strong and green contact Bespoke Lawn Care for a free none obligation quotation. Overseeding of an existing lawn is a recognised essential part of annual lawn maintenance. Hollow tine aeration is the machine process of punching thousands of holes in the surface of the lawn and then pulling large cigar shaped cores of soil from your lawn. 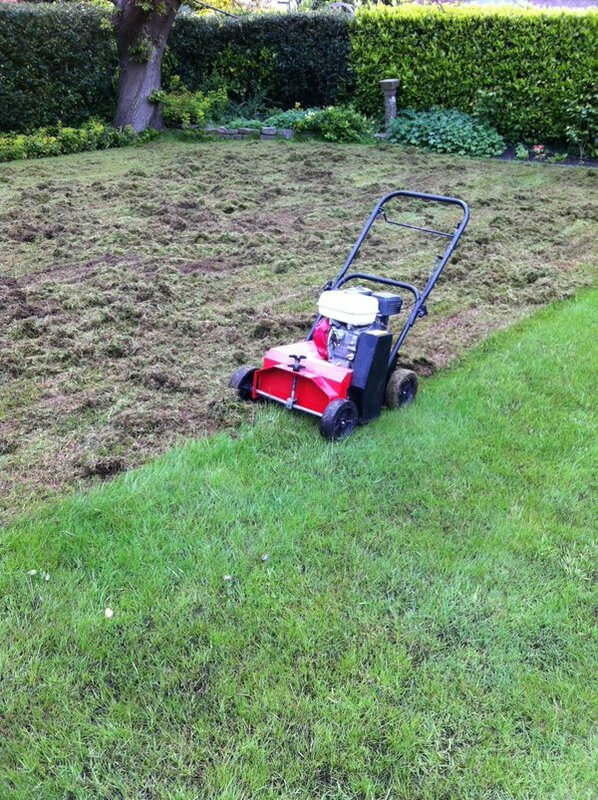 Scarification effectively removes thatch build-up by "power raking" the lawn turf. This allows air and nutrients to reach the root system again. Be it an old worn out lawn you want re-turfing or a new area you require a lawn installing we are the company to use. What can we do for your lawn? Spring treatment; The long hard winter is behind us now.lets start getting your lawn into shape. Early summer treatment; With this treatment you will start seeing the benefits of our Bespoke lawn care. Summer treatment; This treatment is the one we have to assess all conditions prior to deciding which of the many products available is best suited to your lawn. After being disillusioned with the condition of my lawn, I am so glad I listened to my work college and changed lawn care provider to Bespoke lawn care cheaper and a fantastic service. Thank you. Thank you for taking care of my lawns and garden this last year, they always look neat and tidy please can you carry on with the bespoke care package but add pressure cleaning the patio twice a year. Thanks to Bespoke lawn care our front lawn is the best looking on my estate. My garden re-turfed, new flowers & shrubs installed looks fantastic and done within my budget. We are highly knowledgeable in the care of lawns and we are happy to answer any questions you may have about caring for your outdoor space contact us now! © 2017 Bespoke Lawn Care. All Rights Reserved.